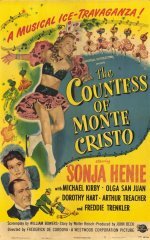 Here's the last screen appearance of charming blonde-haired, blue-eyed Norwegian Olympic ice-skating champion Sonja Henie, who made several highly successful films in the late 1930s and early 1940s when her competitive days were over. 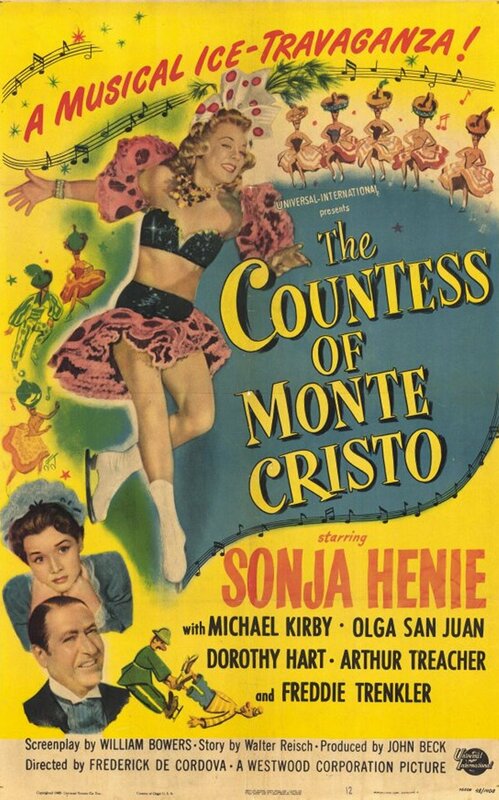 The one-joke plot has Henie and Olga San Juan as Norwegian barmaids posing as a countess and her maid at a luxury hotel, where the witless proceedings are enlivened by three songs from San Juan and six skating turns from Henie. Romance is provided by the star's off-screen skating partner, Michael Kirby.